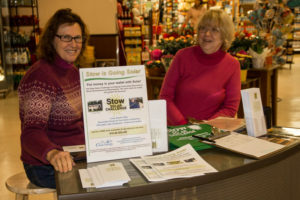 Sustainable Stow is a group of town residents interested in taking positive actions to reduce individual and town energy consumption as well as looking at other steps we can take collectively to build a more sustainable community. Holding informational open forums. 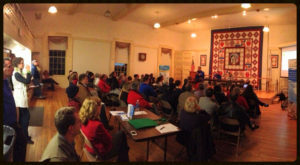 Topics have included home energy savings, solar, electric vehicles, residential heat pumps. In 2007, at a forum on wind energy Sharon Brownfield and Arnie Epstein meet and agreed that a group in Stow was needed to help direct activity around environmental issues. Working through the town selectman, a working group was formed reporting to Bill Wrigley, the town administrator. Initially the group was focused on completing audits of all the town buildings starting with the town municipal building.